Over the last couple of years, I can see that my focus on this blog has pivoted from general anime enthusiasm toward celebrating a very particular strain of anime with a gushing, obsessive level of discussion. The kind of anime I’m talking about here isn’t just ‘good anime’, an anime that ticks all the boxes of entertainment, or even anime that I think are amazingly produced. Rather, it’s that anime that comes along once in a while and strikes a chord within me in some intangible and unexpected way. 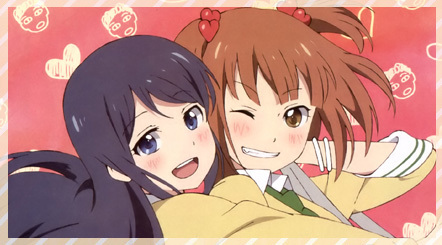 There was Love Lab with its effervescent characterful animation, Ping Pong with its wobbly, skewed aesthetic and Yozakura Quartet that blew me away with its fresh, vivacious webgen production, and of course many more that I haven’t been able to talk about yet. But the thing I’ve found with each of them is that their resonating charm was fuelled by the very personal creative impulses, ambitions and talents of the people behind them. The latest series to move me in this way was Erased, or Boku Dake ga Inai Machi. 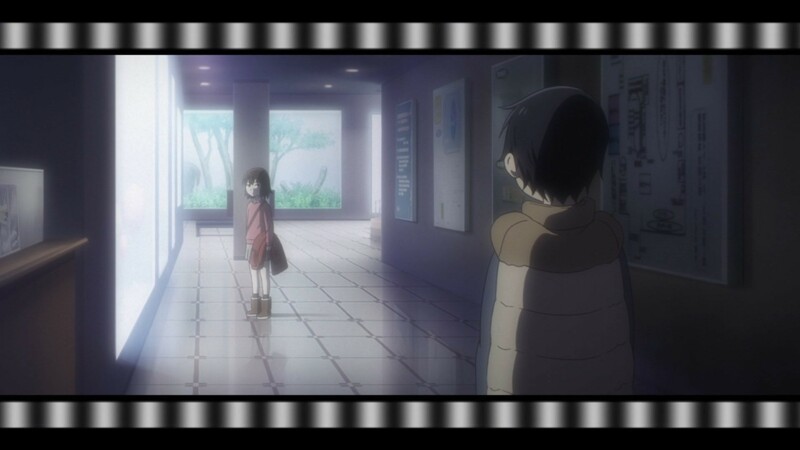 Boku ga Inai Machi (or Erased) is an anime adaptation of a popular seinen manga series by Kei Sanbe, and seems to have been met with universal praise from viewers around the world. The author takes the basic ingredients of crime-thriller and childhood coming-of-age drama, throws in a hint of time travel and seamlessly blends them together into a riveting, and suspenseful story. After being framed for murder the protagonist, Satoru, is unwittingly thrown back in time to his childhood where he must reach out to those around him and muster his personal resolve to try and outwit a cunning and cruel serial killer. Much has been written about the show’s riveting story but most critics seem unable to put their finger on why they appreciated the production side of things. I am going to try put my finger on it! Looking into it, I soon found that, counter to the case in many anime, its excellence is largely due to the man in the proverbial director’s chair, Ito Tomohiko. 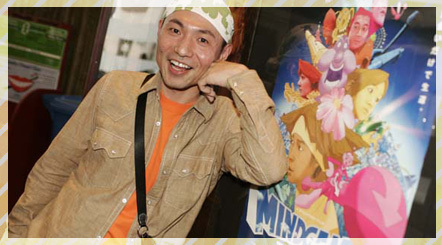 Director Ito has already proven himself worthy as a producer with his directorial work on Sword Art Online and Silver Spoon at A-1 Productions. 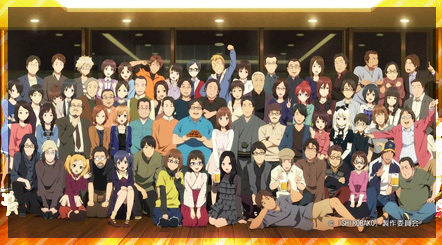 An antithesis to studios like Trigger or Kyoto Animation, A-1 Pictures’ core, permanent staff are just a small group of producers and digital effect/CG artists – their animators are employed on a casual as-need basis. This is why there is no A-1 Pictures ‘look’ beyond their post-production finish standards and CG work. As such, it falls to the director to assemble the key creative team that will drive the style and quality of the production, and Ito was easily up to the task. But while these previous outings were polished and successful, Erased is perhaps the first time we’ve seen Ito rise well above the perfunctory and flex his creative muscles as director. One reason for this might be that he has both a history and an interest in the thriller genre, and originally started in the industry at Madhouse working on serious anime with a suspenseful edge such as Monster and Death Note. Since moving on from Madhouse and being in charge of more light-hearted quintessentially ‘anime’ works he has expressed a desire to sink his teeth into something more in this vein. When one of his colleagues showed him the Erased manga years ago it obviously resonated with him as he set to work rallying Aniplex (A-1 Picture’s parent company) directly to launch an anime adaptation with him as director. As a fan of thrillers, he has clearly relished the role. He made a conscious effort to ramp up the feeling of suspense and excitement in the show by drawing inspiration from Hollywood thrillers rather than following the approach of Japanese TV thrillers or similar anime. For example, while the show is set in real parts of Hokkaido, the stark and sombre way they portrayed their locations was strongly influenced by the Danish crime drama series The Killing, set in Copenhagen. Ito has said that the butterfly that appears throughout the show whenever Satoru jumps through time is an homage to another thriller work (but won’t say which one! – he did say it’s not Butterfly Effect though). Overall, there was a push to make Erased feel exciting and cinematic in a Hollywood thriller kind of way. This push was made possible by Ito’s industrious style of directing, as someone who really throws himself at every production. When he took on Silver Spoon he visited agricultural schools and ate a lot of food to understand the setting of the series. For Sword Art Online, he spent a solid week going to net cafes after work and staying up late into the night playing MMORPGs to get a sense of how people interacted in online games. For the later series of Sword Art, to help portray realistic gun battles he went shooting. 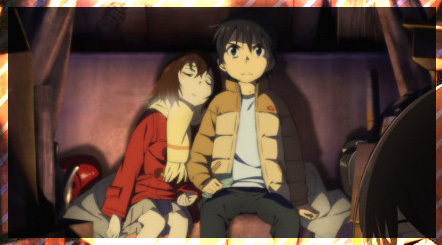 Let’s hope no practical experience was needed in portraying the dark kidnappings of Erased! But this all goes to show that Ito truly pursues every avenue to excel, tinkering with many realms of production that many directors are happy to overlook. This may be truer in the case of Erased than ever before. One thing I noticed pretty quickly when watching the show is that it didn’t sound like just another run-of-the-mill anime; the voice acting felt refreshing and somehow more natural. Rather than the crisp, familiar voices of the industry staples, the protagonist was handled by film actors, both for his young and old versions. To make the two voices feel like they really belonged to the same character, all of young Satoru’s lines were read by his older counterpart, so that his adult inflections and tones could be better reflected. Going even further, in order to increase the natural, conversational feel of the dialogue there was a conscious decision to ensure that the voice actors were together to record their lines in, rather than allowing them to record their lines independently (a common occurrence in the industry for in-demand seiyuu). The sound effects too, were consciously used to add suspense, drawing from western fields and the way they use bangs, rumbles or other noises to surprise and unsettle the viewer. 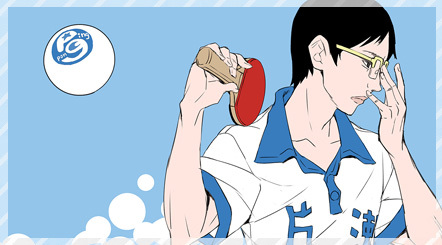 However, Ito’s stamp leaves its biggest imprint on the series’ visual design. Rather than being forged from the fires of animation like many notable directors, Ito hails from a storyboarding and production setting background, and that enables him to expertly and holistically control the look of the show from the ground up. He put a huge creative signature on the show by going against the grain of the normal adaptation storyboarding process, instructing his storyboarders not to replicate panels from the manga but to envision how the layouts and scenes can evoke a cinematic feel that would keep people’s attention hooked. He used a number of approaches to try and achieve this. Attention was paid to the use of visual effects to keep the series from feeling flat – flicking to shots of the spinning wheel of film and other visually compelling shots were used to spice up the flow. Perhaps his most apparent imprints on the look of the series is his instruction to staff to pay close attention to backlighting – how light from outside windows, streetlights, etc can cast visual depth into shots. This may be something he picked up an appreciation for when working on Guilty Crown, which used lighting to superb effect. The general aesthetic of the show bows to this edict wherever possible and gives it a strong cinematic flavour. At times the use of light and shadow is used to dramatically ramp up the tension, other times it simply adds to the realistic feel the show aims for by ensuring that the lighting of each scene is carefully rendered as it would be in real life – no scenes are simply bright for the sake of presenting the characters and many occur only under the light cast from a TV or nearby street lamps. The characters being enclosed by darkness in these night scenes gives a sense of dread and unease. Ito didn’t just ensure that the series felt realistic and visually engaging. As a storyboarder inspired to join the industry after seeing Evangelion, it certainly looks as though he carried the influence of Hideki Anno’s work throughout his career and it’s no less apparent here. Ito uses the space between characters as well as stark lighting to symbolic effect, treating layouts more as paintings and works of art than stages for the characters. By that I don’t just mean he just tries to make them pretty, but he crafts them to convey visual metaphor and evoke particular emotions. He’ll do things like place two characters on either side of a clear division between light and shadow, or use perspective and composition to emphasise which character is in control or more powerful. Similarly, he’ll use open spaces to depict emotional distance, and occasionally jarringly centred shots to show urgency or tension. This is something that Evangelion in particular is famous for. As a result, the series has a very conscious use of layout and composition to help underpin the emotion of the scenes. 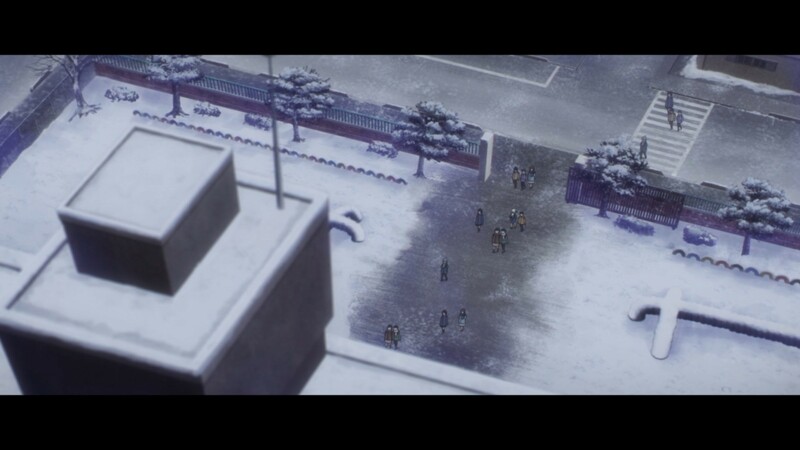 The childhood scenes pull the camera back so that characters appear small, placing them in large, open spaces. This, combined with the very deliberate effort to frame many shots as though the children are being watched, gives a real sense of helplessness and danger. His repertoire is taken a step further in Erased, introducing a very strong focus on the use of colours in shots to symbolise emotions. All throughout the series, he paints with reds and blues at every possible opportunity to reinforce the mood of the scene. Early in the series, it becomes clear that red is associated with danger and isolation while blue is associated with safety and family as a kind of dichotomy between Satoru with a loving mother and the lonely victim Kayo whose only family are relentlessly abusive. As the series develops I think the director used this association to deliver extra suspense and tension in many of his scenes. 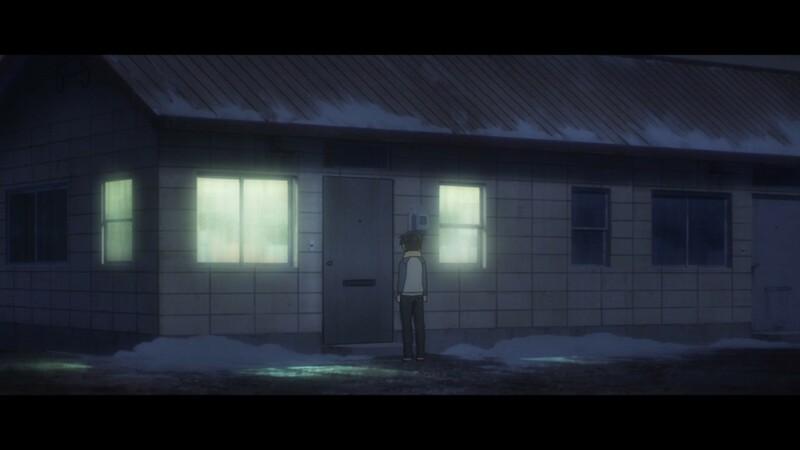 Maybe even subconsciously, I suspect much of Erased audience felt a wave of dread when the background changed to red in the sequence with Satoru in the car with the killer because this colour association had been woven through the show up until that point. Of course, none of this is brand new in the realm of visual storytelling, but Ito ensures it is delivered with just enough nuance that you feel its impact without necessarily noticing it on screen. 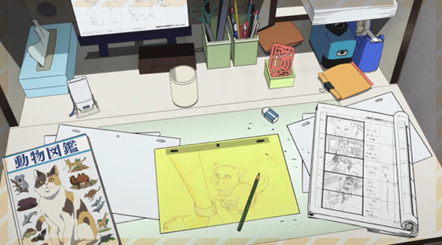 Ito’s deft handling of storyboarding, layout and general direction may have developed while working under super-director Mamoru Hosoda, having served as assistant director on The Girl Who Leapt Through Time and Summer Wars. Given his Eva influences it’s no surprise that his work contains the creative DNA of Kunihiko Ikuhara and Osamu Dezaki. Like Hosoda, Ito takes a naturalistic approach to symbolic framing, preferring to place his characters in a real space, rather than the surreal and arbitrary stages of Ikuhara and Dezaki. His use of framing seems to parallel some Anno’s cinematic inspirations, such as the use of minimalist camera work. His background may not be in genga, but that doesn’t mean he doesn’t appreciate animation. Like Sword Art Online before it, Erased has its fair share of charismatic animation. Again, it may be his time under Hosoda that gave him some of this appreciation, or at least the production know-how to getting this animation created. He certainly picked the right chief animation director for SAO, and Keigo Sasaki is a similarly good fit for Erased, bringing consistent, polished art and moments of realistic, yet emotive character animation. 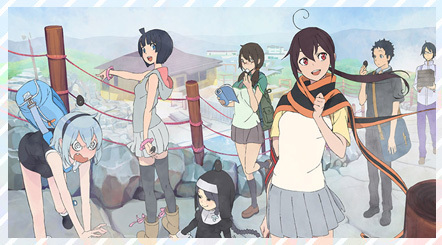 The animation highlight of the series was undoubtedly episode 3, spearheaded by Takahiro Shikama. Shikama was the director, storyboarder and animation director for that episode and he really shines, delivering what is, in my view, the best episode of the series. 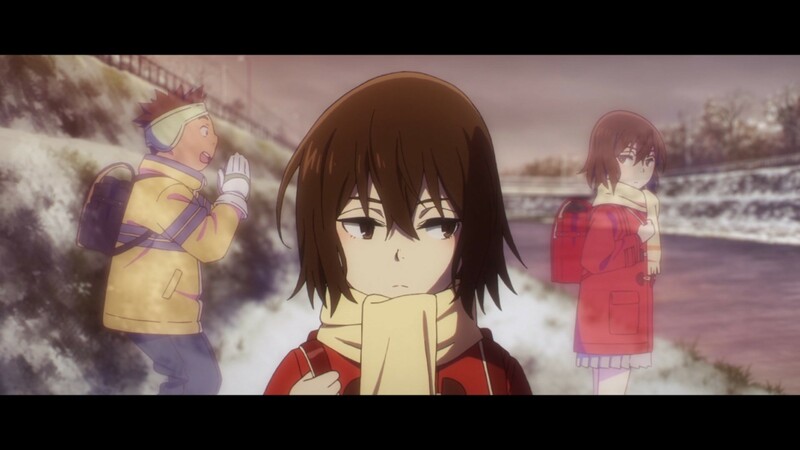 It’s certainly the episode that first made me feel like Erased was something special. His storyboarding work applies Ito’s direction to superb effect creating an episode that is brimming with dramatic tension at every step. 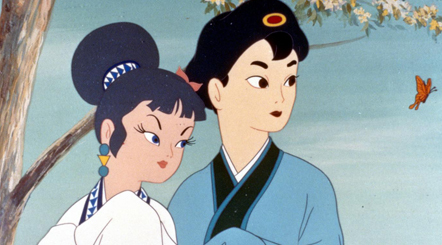 He harnesses a number of animators to delivery some powerful scenes of animation such as the ice-skating race (handled by Shikama himself) and the romantic scene at the end of Satoru and Kayo being surrounded by running foxes (handled by Takahito Sakazume). Takahiro Shikama was a major player in the production of Sword Art Online, being the main action animation director for the first season. But this is the first time he has had the opportunity to show his mettle at the director level. I hope he gets the opportunity more in the future! One area it’s clear that director Ito is not as confident in is the writing. Erased requires delicate portrayals of family life and domestic abuse, whereas Ito had trouble even trying to portray intimate moments between Asuna and Kirito (as apparently all the staff were single). So it’s very fortunate that he found a great screenwriter in Taku Kishimoto. More than just a thriller, Erased scratches beneath the surface of events and evokes profound human drama in its storytelling. From the harrowed Hinazuki trapped in a miserable life of abuse at the hands of her mother, to the protagonist’s encountering true feeling and meaning his life through reliving his past, Erased is steeped in emotion. Taku Kishimoto is in charge of the story for the series and almost certainly is to thank for this, having written the entire script for the anime adaptation of Usagi Drop and Silver Spoon (also under director Ito). Erased is an-edge-of-your seat thriller made all the more intense because you feel so much for those involved that every dangerous development is like a kick in the gut; the killer isn’t just after a random kid, they’re after Hinazuki. Interestingly, I don’t think the episodes that Ito storyboarded himself were the strongest. While he has a history of storyboarding work, on review, I don’t see him as being particularly talented at it (except maybe for Kekkai Sensen episode 11). Ito isn’t a great anime director because he is a great artist but, more in the vein of Kenji Kamiyama or Mamoru Oshii, it’s because he is full of high-level ideas and has the ability to harness the creative talents of those under him to weave those ideas through every level and every facet of his productions. He doesn’t fall into the trap of many anime directors, of focusing on just he animation, or just the story, but he is able to take a step back and see the whole picture, how every part of an anime production can be utilised in symphony to render a vision. I see real potential for Ito to fall into the hall of great anime director’s and avidly await his first opportunity to direct an original series. Glad to see a new article on your blog! Good analysis on Ito. A number of people felt that Erased fell apart near the end and while I do have some problems with it, I think overall the series came together well. Especially when you consider that Aniplex was probably only willing to give him the budget for a 12 episode series rather than a longer show that could more fully adapt the manga. Shikama’s episode 3 was amazing. Its been months since I watched that episode but I still remember the moment when they cut to that low angle shot of Hinazuki and Satoru with the tree and the sky above them. Beautiful stuff. Hope to see more regular sakuga posts out of you. I agree that the end was disappointing, and the first half of the show is probably the strongest. But I don’t think the ending was a disaster either so overall it’s a very strong show. Episode 3 was definitely the best episode! !